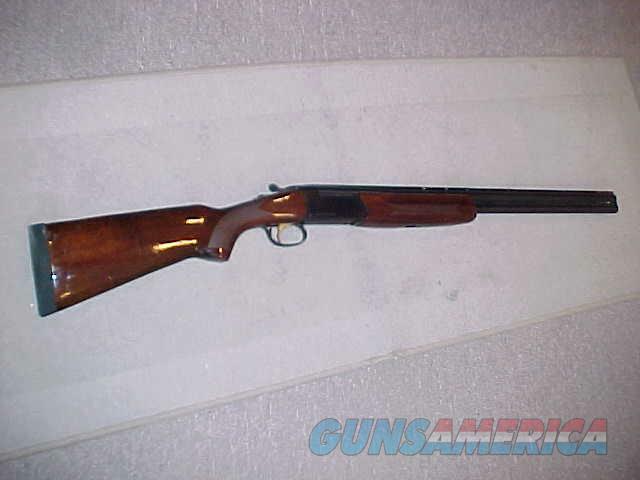 STOEGER CONDOR SUPREME 20GA O/U 26"
Description: STOEGER CONDOR SUPREME 20GA SXS WITH 26" BARRELLS AND 3" CHAMBERS.HAS AUTO EJECTORS AND SST. COMES WITH TWO BRILEY SCREW IN CHOKES FULL/FULL. LOP 14.25" OVERALL 98/99%.